ARC, Monitoring calibration software from IK Multimedia. Product replaced by the IK Multimedia ARC 2. 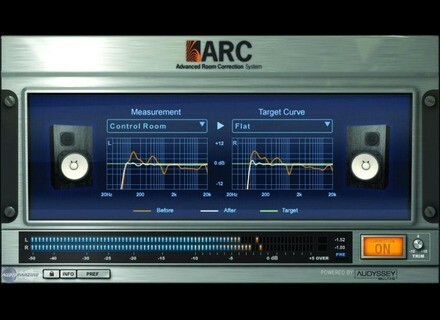 IK Multimedia releases the version 1.3 update of its acclaimed ARC (Advanced Room Correction) System. This new version adds native compatibility with 64-bit applications and operating systems and can accompany the T-RackS 3.5 mixing and mastering suite. The ARC System also has a new pricing structure, with price reductions starting at 50% off of the previous systems' prices. 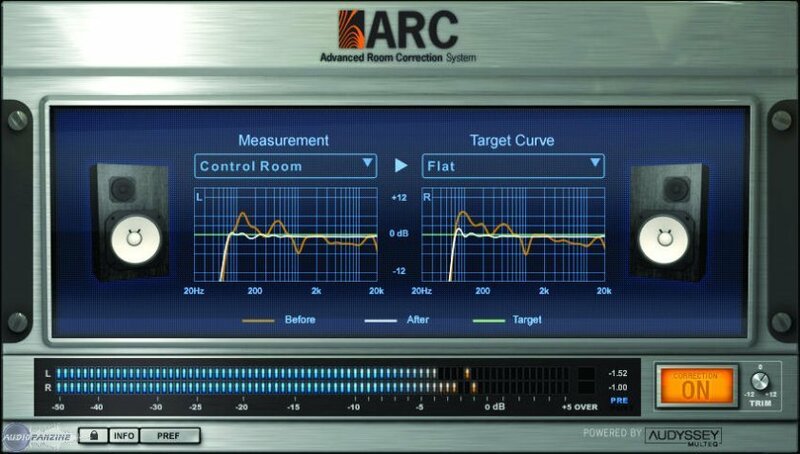 The ARC System combines a calibrated measurement microphone, standalone software that captures sound information and calculates room correction, and a multi-platform plug-in. ARC features the Audyssey MultEQ technology, which measures acoustical information throughout the listening area in your studio. It then combines this information to provide a representation of the room's acoustical problems. The equalization solution then corrects for both time and frequency response problems. The result is a representation of your mix. The native version of the ARC System costs €229.99* with a crossgrade option at $€189.99*. The TDM version of the ARC System costs €269.99* with a crossgrade option at €229.99*. An upgrade from the native version to the TDM version is available for €74.99*. The ARC System version 1.3 is now available from the IK Multimedia online store and selected music retailers. Sir Elliot 1977 Preamplifier Sir Elliot has released 1977 Preamplifier, a free effect plug-in for Windows. Tone2 ElectraX v1.2 Tone2 Audiosoftware has announced an upcoming update for ElectraX, its synthesizer instrument plugin for Windows and Mac.